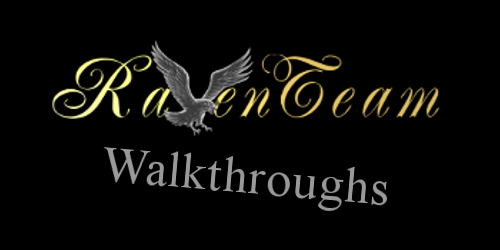 This is a short overview for all available walkthroughs on my website. Most of them just show one possible solution as I mainly write them down while playing the game. If I remember to save before a decision it may happen that there's also a second solution available. 1. Evil Decision - this is the walkthrough for the Witcher-Mod made by the Raventeam, every sidequest and the possible ways to all ending scenes are described here. 2. King's Bounty: The Legend - the walkthrough for the first game of the series. I played this game with the Mage, it is possible that some things are different if you play with one of the other characters. 3. Fantasy Wars - the predecessor of Elven Legacy. This is a strategy game, so different ways and strategies are always possible. I played this game on normal difficulty and tried to reach all available treasures within the given time. Your own strategy may differ from mine but most places are described as best as I could. 4. Mozilla Browserquest - this little game was an experiment by two french developers made with support from Mozilla, it's a HTML5 browser-game and Raven was there to write down this little walkthrough for all available achievements you can get in Browserquest. Sometimes I may play a game where no real walkthrough is necessary but I found some useful cheats (although I normally don't use them), or I feel like writing down some useful tips for a game. In this case all cheats and tips will be listed here and if it is a lot of stuff for one game it will get it's own page which will then be linked here. For now I have not written down anything in this category.